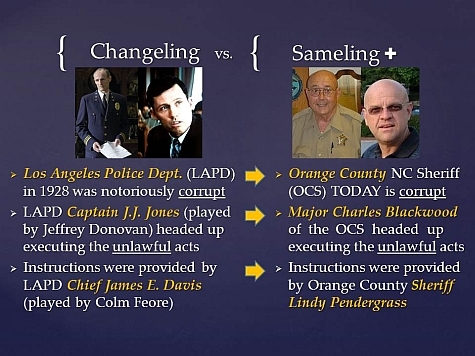 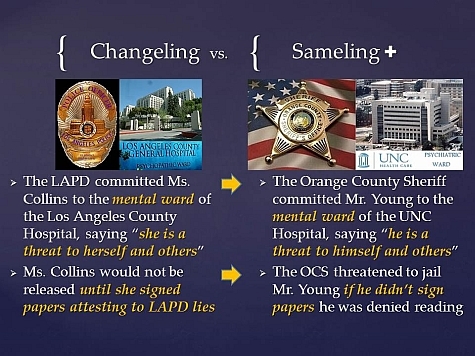 A video documenting the Sameling + crimes has been produced and filed at the Federal and State level in a series of civil and criminal complaints against Orange County (NC) Sheriff Lindy Pendergrass, his right hand thug Major Charles Blackwood and others. 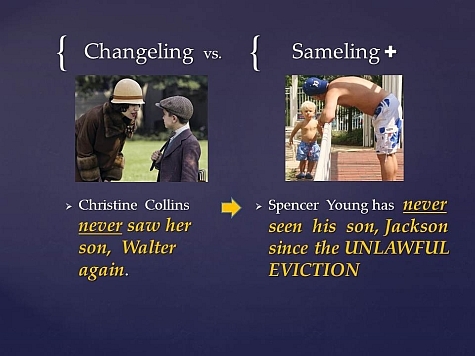 It can be accessed by clicking here. 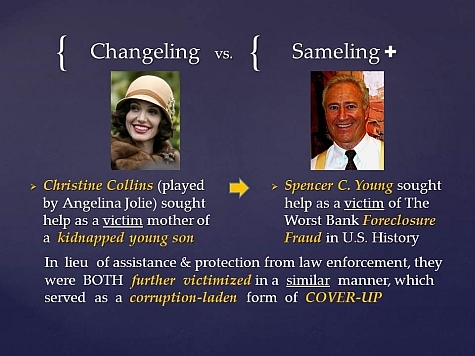 The presentation slides from this video that summarize the parallels between these historical events are shown below, with the most tragic one being the loss of a young son from a loving parent. 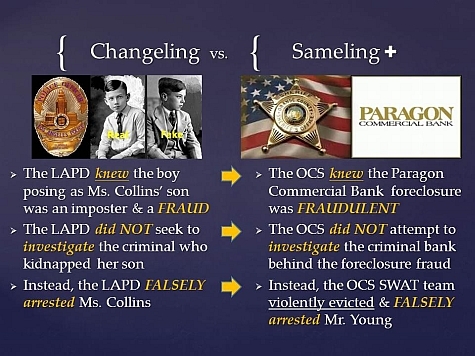 And although Ms. Collins never saw her son again, Mr. Young will assuredly be reunited with his youngest son, Jackson once the truth behind the dastardly deeds of the OCS is exposed and widely known.